It has been something of a rocky ride for cryptocurrencies recently, and none more so than Bitcoin. Now Lloyd's Banking Group has announced a ban on purchasing cryptocurrencies using credit cards in the UK. The banking group controls Lloyd's Bank, Halifax, MBNA and Bank of Scotland, and the ban has been triggered by the deflation of Bitcoin. In recent months it has spiraled from a high of almost $20,000 to under $8,000. 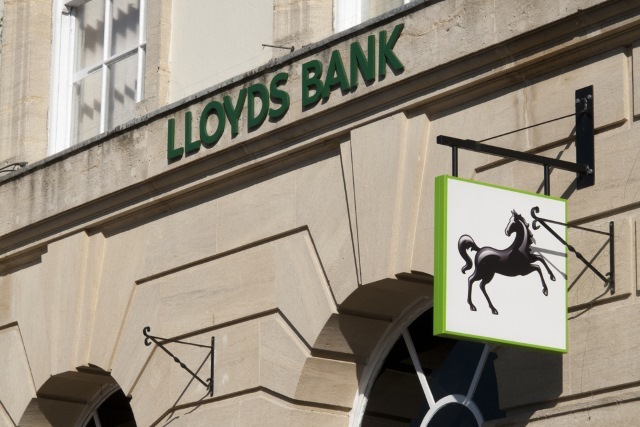 The move sees Lloyd's following the lead of JP Morgan Chase & Co and Citigroup in the US. Both of these banking giants introduced similar bans in a bid to avoid customers racking up huge debts if the value of Bitcoin continues to fall. Across Lloyds Bank, Bank of Scotland, Halifax and MBNA, we do not accept credit card transactions involving the purchase of cryptocurrencies. The bank is implementing bans on the codes used by cryptocurrency merchants in order to prevent credit cards being used to make purchases. No other UK banks have yet announced plans to introduce similar bans of their own, but the volatility of the market means that it is likely others will follow suit in due course.